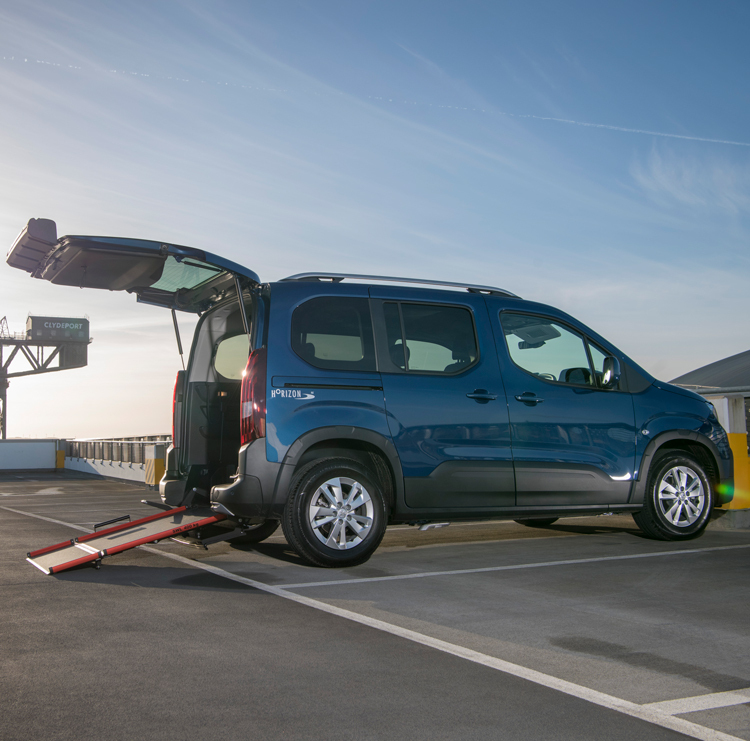 The UK’s favourite wheelchair accessible vehicle has just got even better. 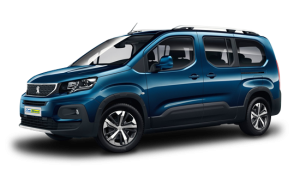 The all-new Peugeot Rifter Horizon™, available exclusively from Allied Mobility, comes with an impressive specification as standard, unrivalled wheelchair accessible features and, of course, the comfort and style associated with Peugeot. 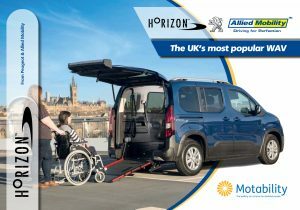 Ideal for able-bodied and wheelchair passengers alike, Horizon™ offers fantastic space and maximum accessibility for your wheelchair or scooter. 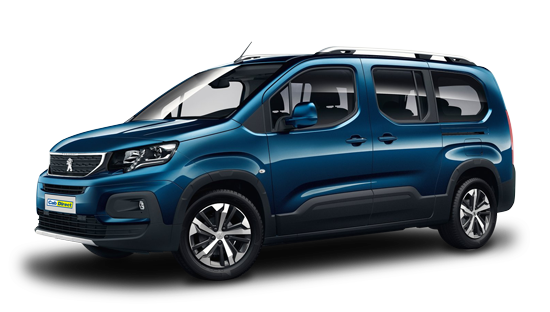 Based on the new, cross-over style Peugeot Rifter, Horizon™ brings you the optimum combination of accessibility and driveability. 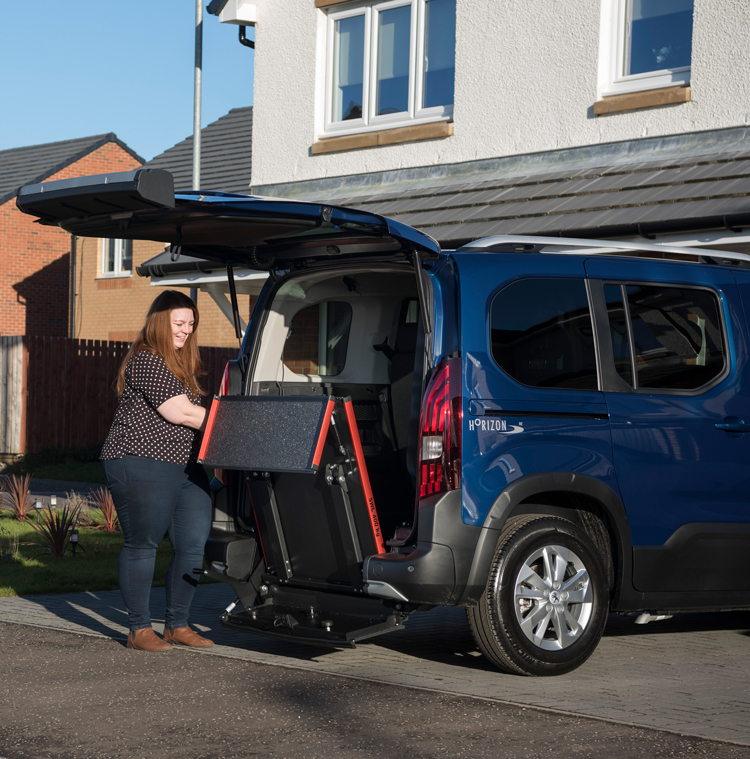 If you’re looking for an easily-manoeuvrable car which also offers ample interior space to accommodate a wheelchair user in comfort, Horizon™ is the ideal solution. 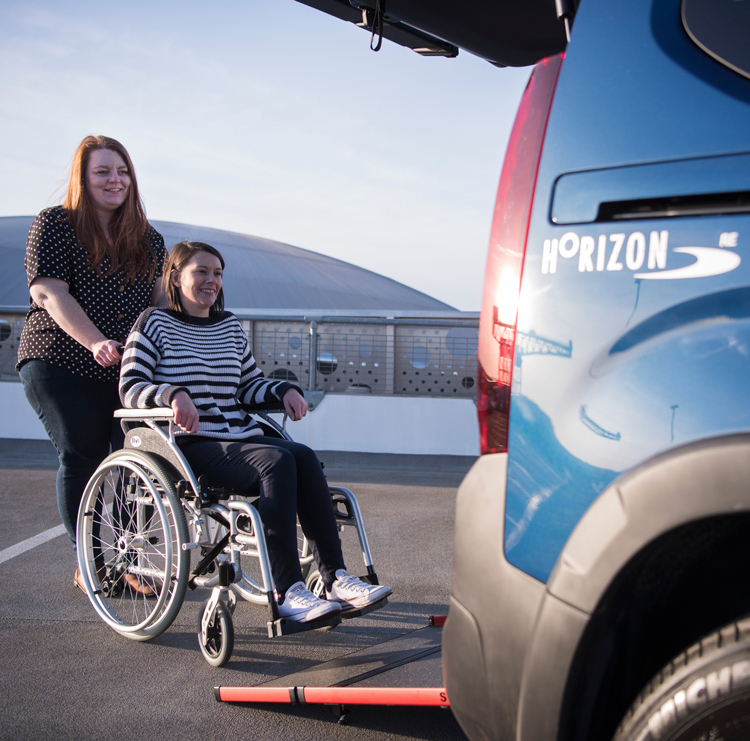 With Horizon™ comes the ultimate safe, secure and user-friendly wheelchair travel. 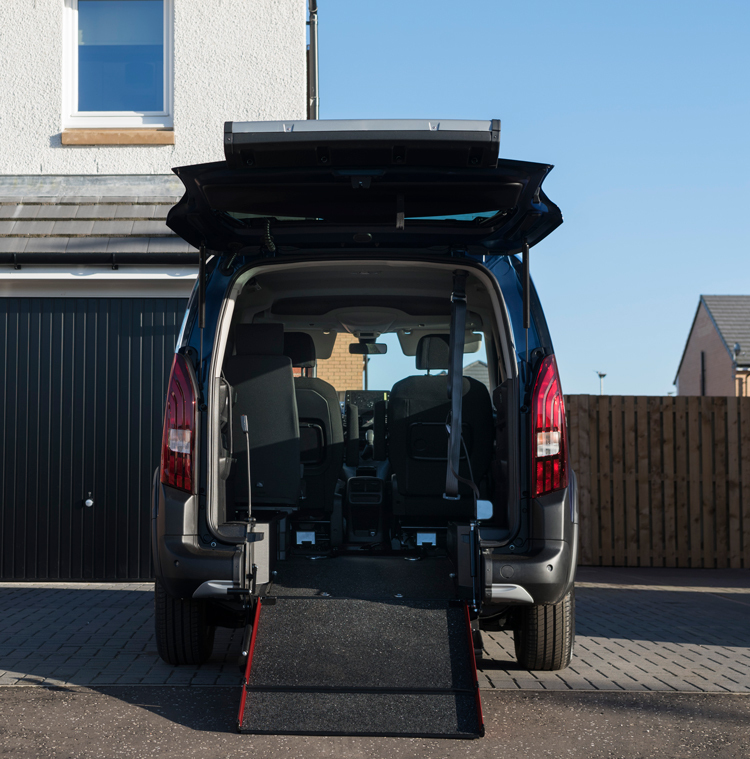 The innovative and unique EasyGlide™ wheelchair ramp simply pulls-out from the rear floor of the vehicle to become an ultra-strong, low-gradient ramp. 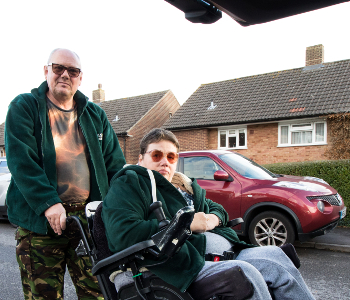 It can then be folded upwards behind a wheelchair passenger or folded back into the boot floor, whenever your car is not being used with a wheelchair user. 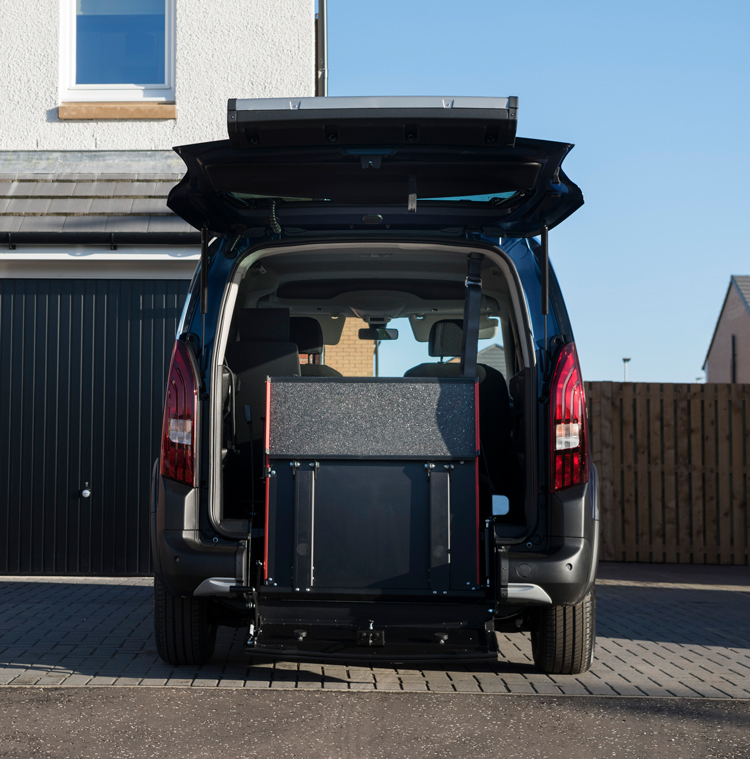 Once inside, the wheelchair is secured by high-quality front and rear wheelchair restraints, while lap and diagonal seat belts ensure maximum security for wheelchair users. 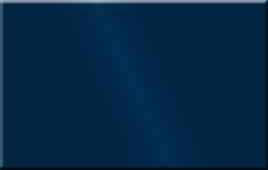 Horizon™ is also tested and certified to meet the highest automotive and accessibility standards. 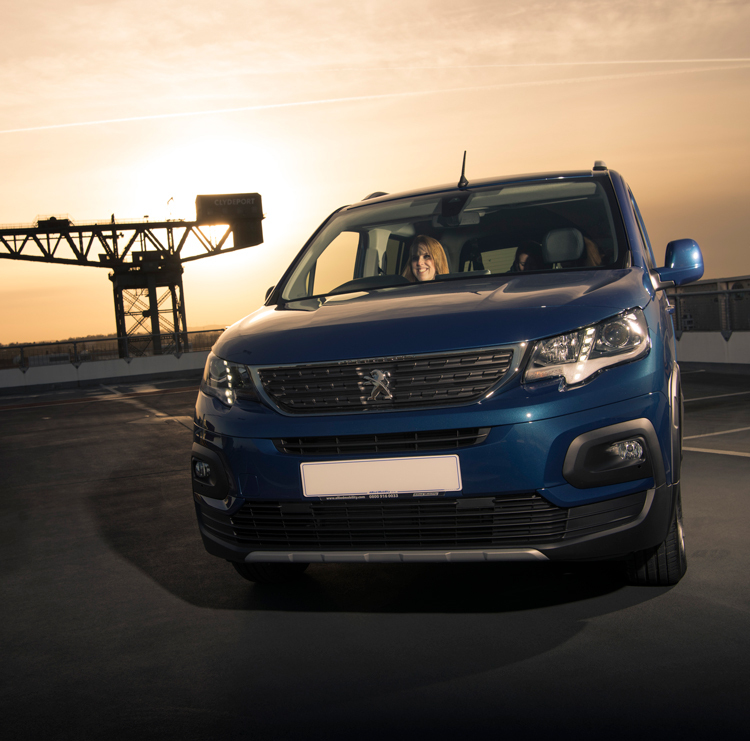 Available in a choice of models, Horizon™ RS comes complete with full original Peugeot seating whilst our RE model provides one or two single rear seats, dependent on your needs. 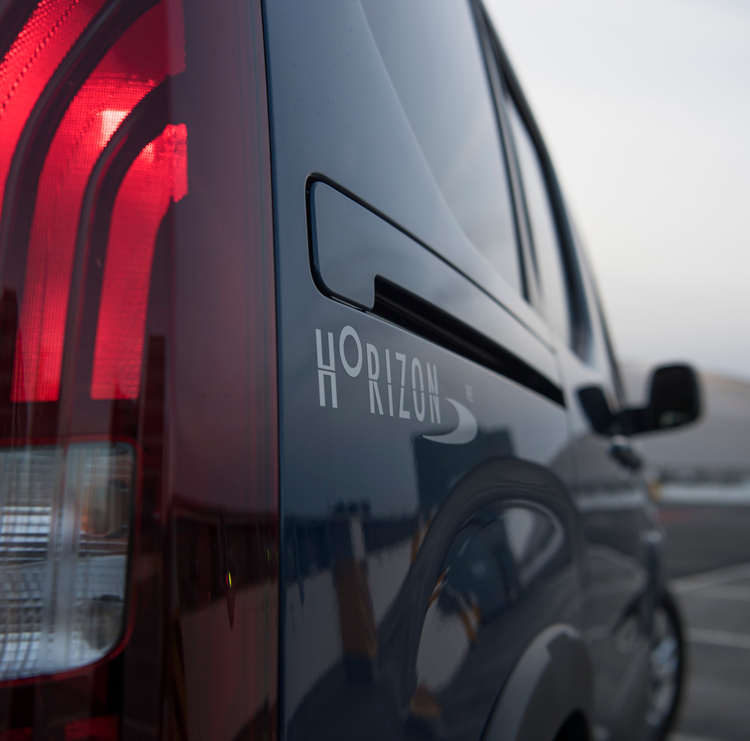 New Horizon™ continues the tradition of the UK’s best-selling wheelchair accessible vehicle – now moderised with a stylish new base vehicle, brimming with exciting features for your safety and comfort. What’s more, this latest addition to our range comes with premium Allure spec as standard. 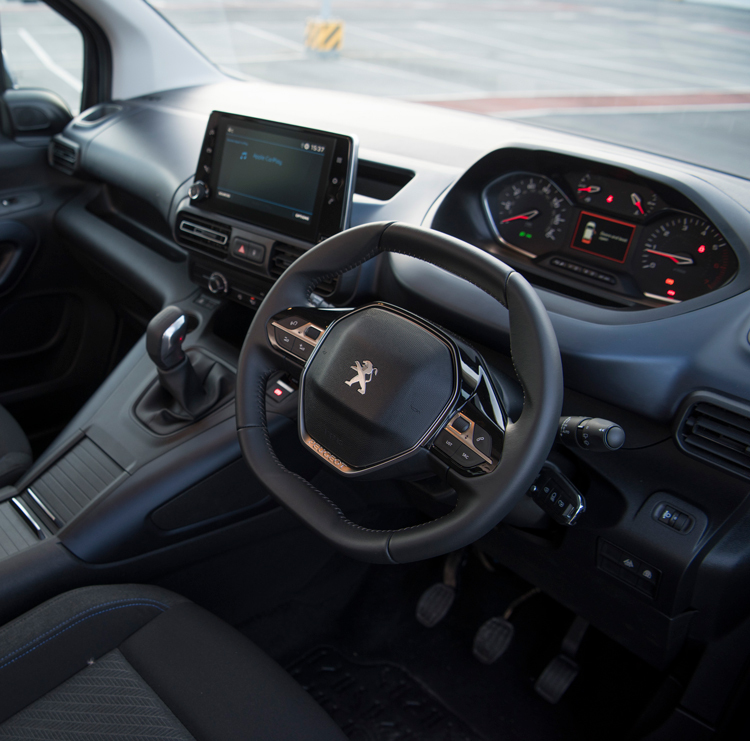 This means you can enjoy additional user benefits including parking sensors, electric parking brake and PEUGEOT i-Cockpit® 8″ colour touchscreen with in-car entertainment system, which mirrors your Apple or Android smart phone. 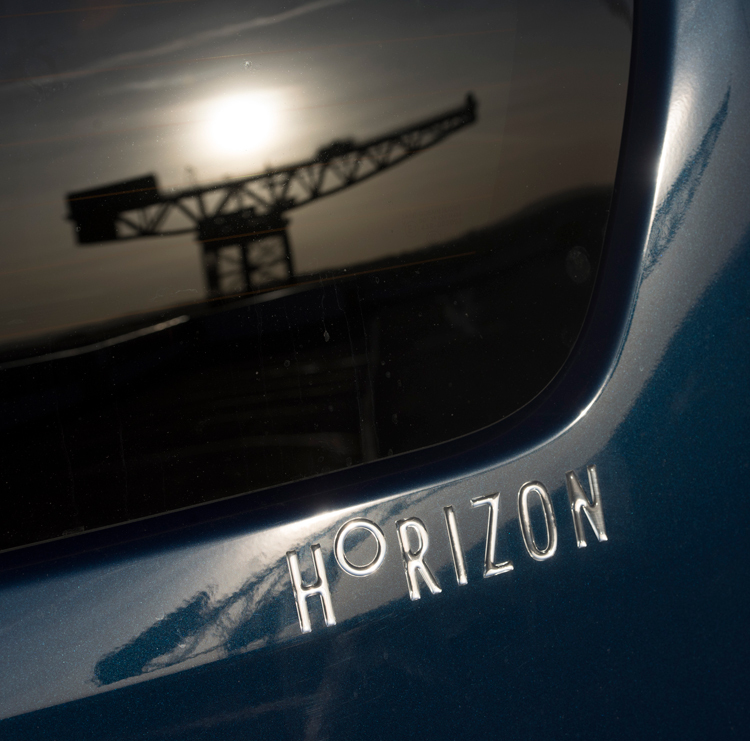 There’s also stylish body-coloured bumpers and Taranaki alloy wheels to finish the sleek look of the all-new Horizon™. *Free option for Motability customers only. Information correct at time of publication. 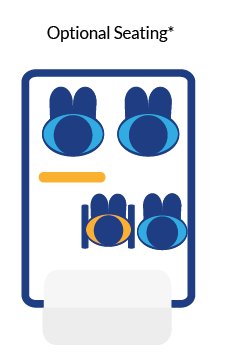 Features may be subject to change. 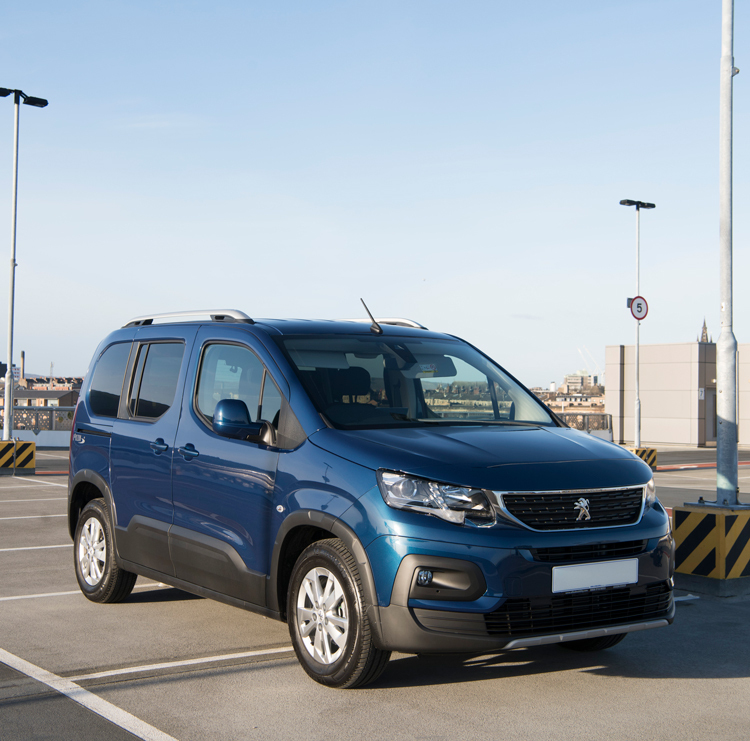 Our Peugeot Horizon™ mobility cars can accommodate driver, wheelchair passenger and up to three seated passengers or, driver and up to four seated passengers – depending on your chosen seating layout. 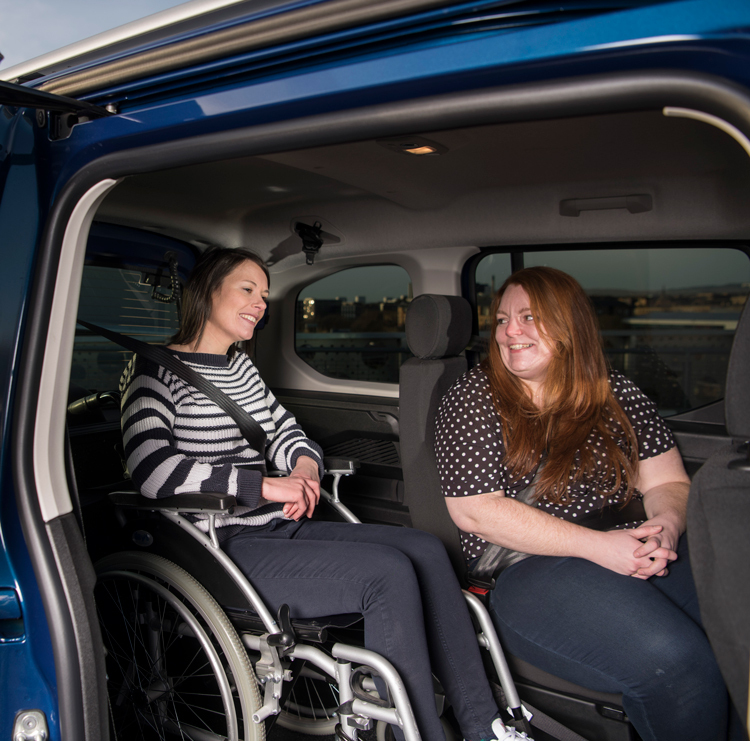 Customers can choose to travel in their wheelchair or, where preferable, can stow their wheelchair in the back after transferring to the front passenger seat for their journey. Some disabled people use these versatile disabled cars to transport their electric scooters. 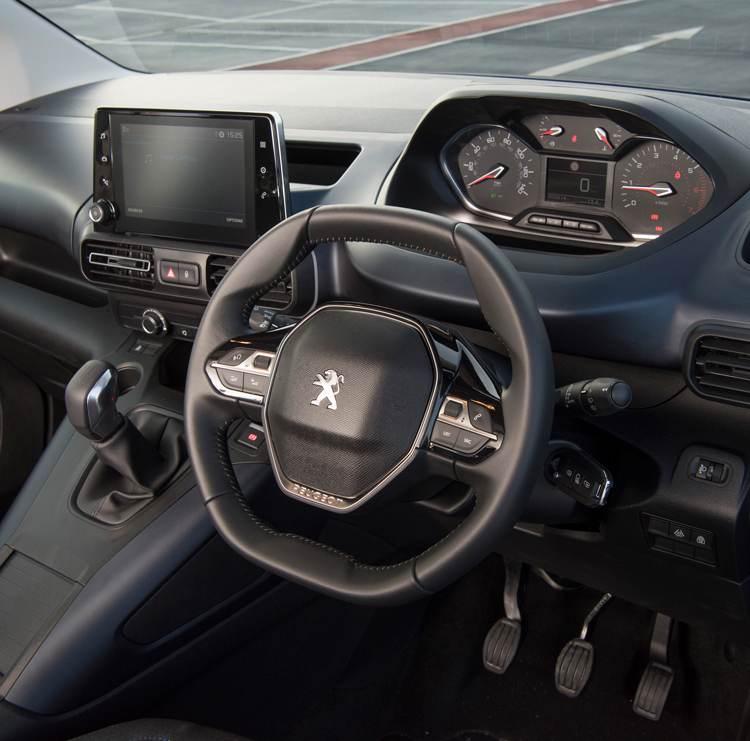 Our Horizon™ RS, unlike many other disabled cars, includes Peugeot’s original rear seating, adding to the overall finish of the vehicle. Horizon™ includes a folding rear passenger seat, which holds three people as standard. 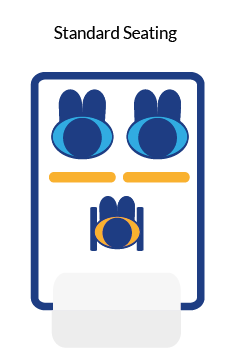 The 60:40 split seat allows you to retain one passenger seat in the back, beside the disabled passenger, whilst the other two rear seats are folded forward to accommodate the wheelchair or scooter. 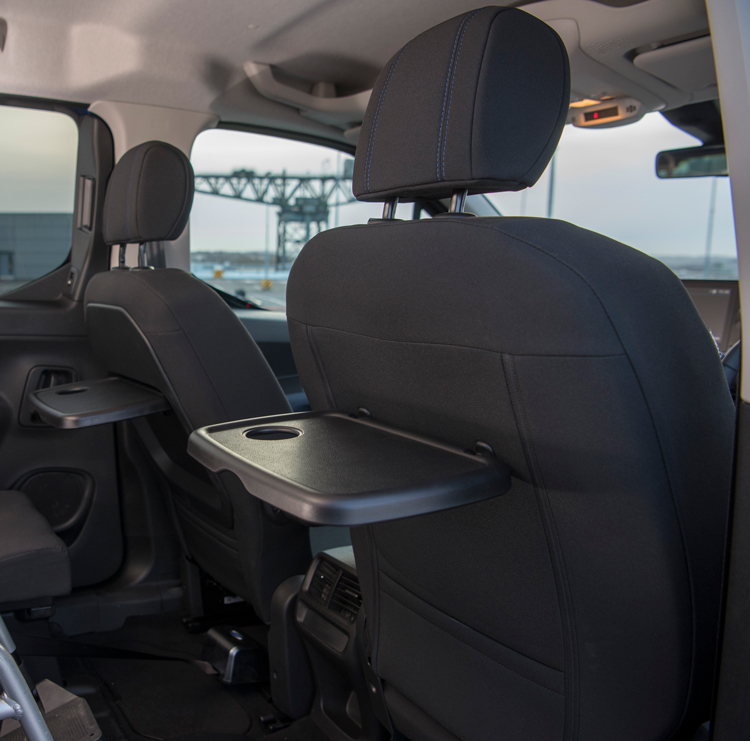 Horizon™ RS can accommodate driver, wheelchair passenger and up to two additional passengers. 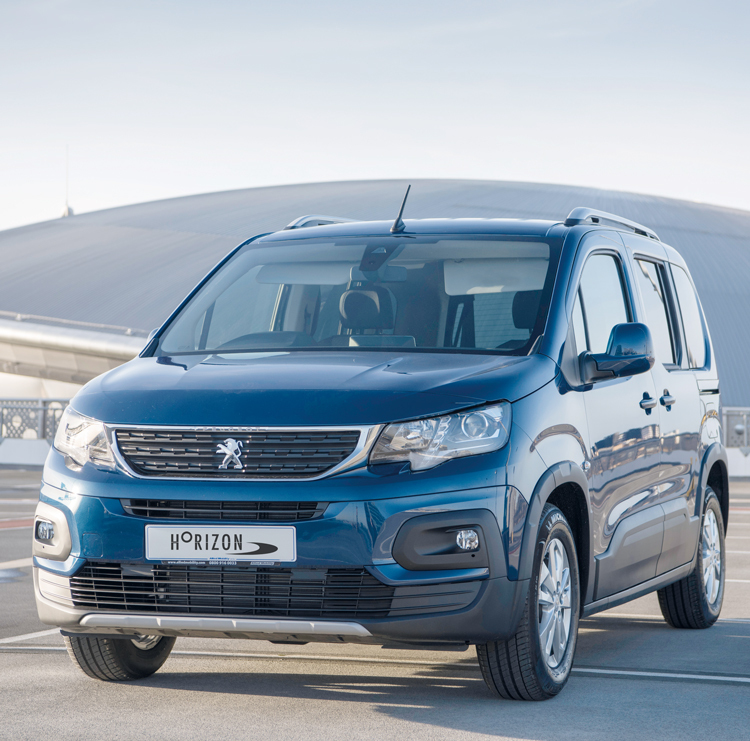 Peugeot Horizon™ RE is ideal if you need additional legroom in front of the wheelchair user. This model comes with one rear single seat, or two if preferred. The rear seats within the RE model remain in position at all times and do not need to be folded forward. 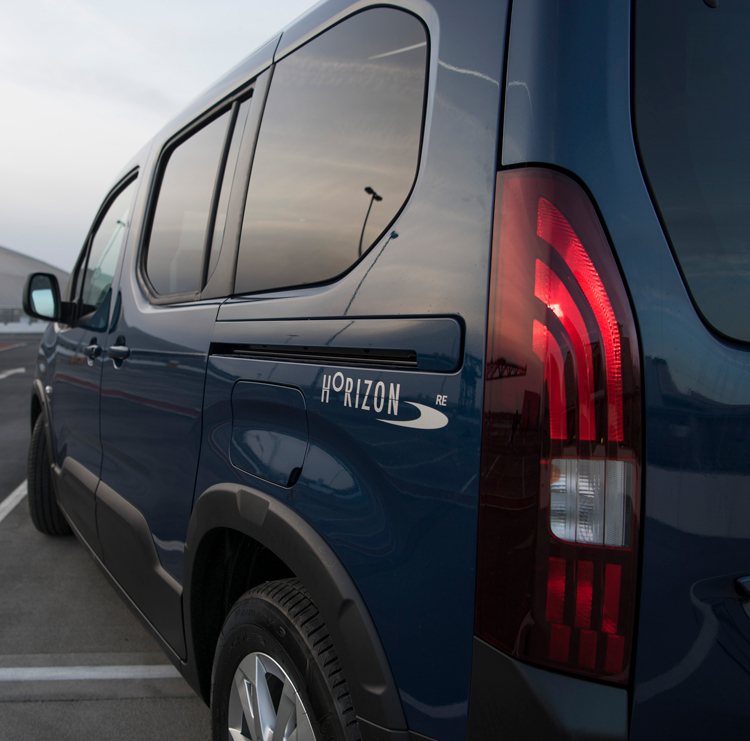 Horizon™ RE can accommodate driver, wheelchair passenger and up to three additional passengers. Please note that is important to choose a mobility car which suits your wheelchair or scooter. Please ask your Allied Mobility™ advisor, who will be happy to talk you through your options. 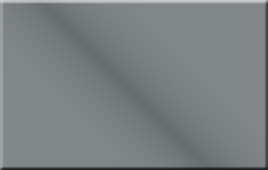 Price shown does not include insurance. Fully comprehensive insurance can be included in your rental agreement or you can opt to use your own. 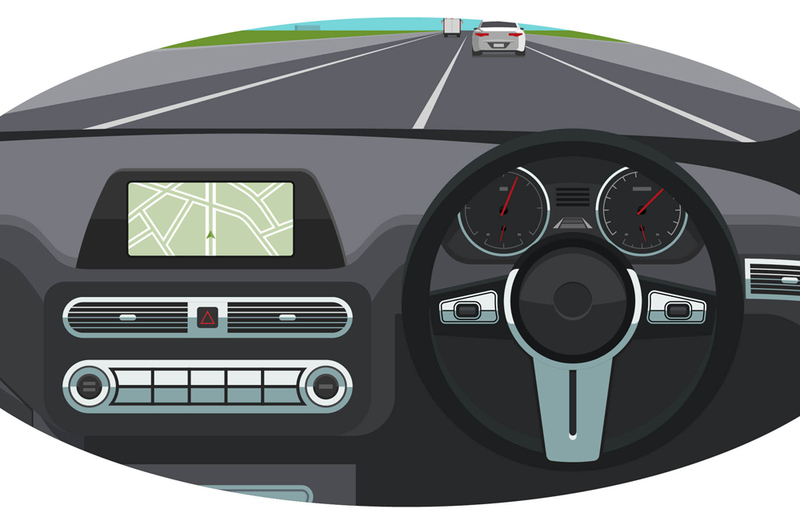 Vehicles will be delivered direct to your door, anywhere in the UK and will be charged depending on postcode area. Where possible, you can collect your hire car from one of our regional centres. Colour palette for illustrative purposes only. 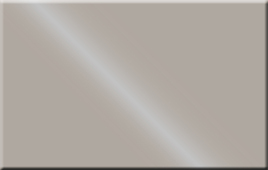 Motability Scheme vehicles are available in metallic colours only. Choosing mobility vehicles may seem daunting. 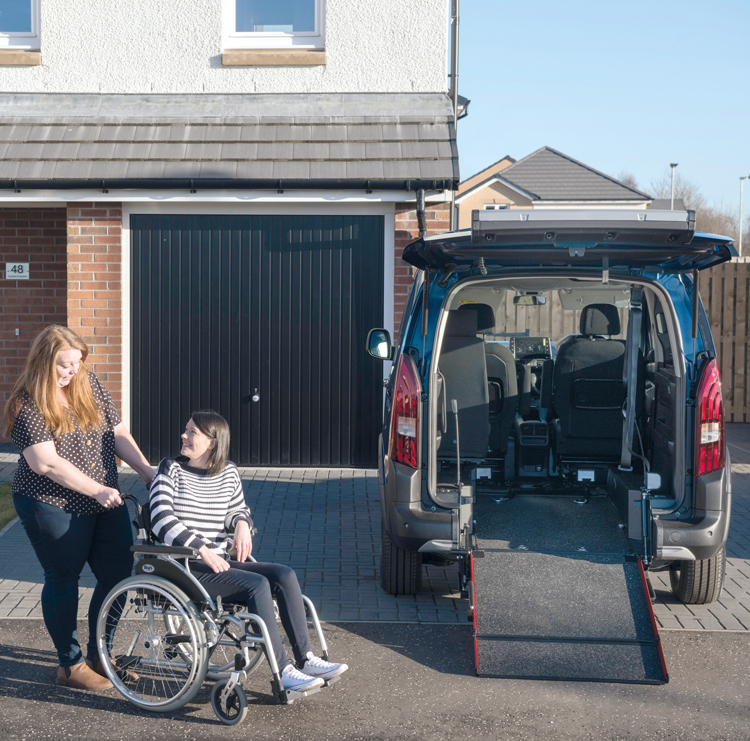 There is a wide choice of wheelchair accessible vehicles for sale and knowing which one is right is tricky. 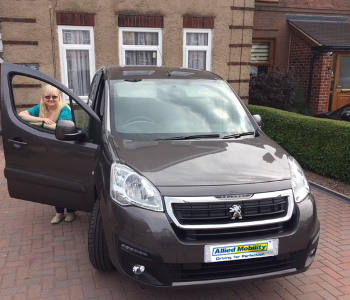 Sometimes there's simply no substitute for seeing for yourself, particularly when it's an important choice like a new wheelchair car. 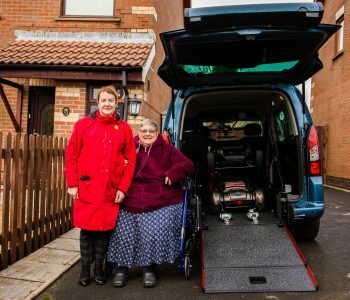 To arrange your free, no-obligation home demonstration, simply fill in the form below and your local mobility consultant will be in touch to arrange a time that suits.